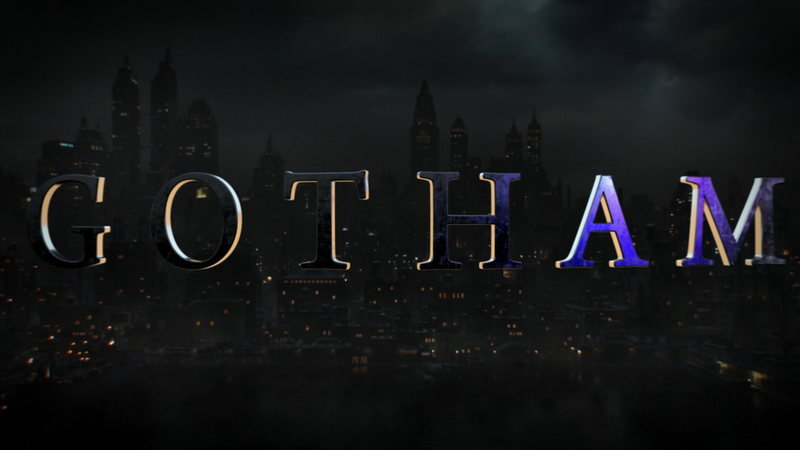 Season Synopsis: GCPD Detectives Jim Gordon (BEN MCKENZIE) and Harvey Bullock (DONAL LOGUE) are forced into battle with a cadre of depraved and unhinged super-villains, including Oswald Cobblepot/Penguin (ROBIN LORD TAYLOR), Edward Nygma/Riddler (CORY MICHAEL SMITH), Barbara Kean (ERIN RICHARDS), Tabitha Galavan (JESSICA LUCAS) and Poison Ivy (MAGGIE GEHA). But as the city sinks into chaos, a new hero waits in the wings. Young Bruce Wayne (DAVID MAZOUZ) trains with Ra’s al Ghul (ALEXANDER SIDDIG) and, with help from his butler Alfred Pennyworth (SEAN PERTWEE) and former Wayne Enterprises executive Lucius Fox (CHIS CHALK), dons a secret vigilante mantle to protect his beloved Gotham while also balancing his tenuous relationship with Selina Kyle (CAMREN BICONDOVA) who struggles to make her own way amongst the other villains. 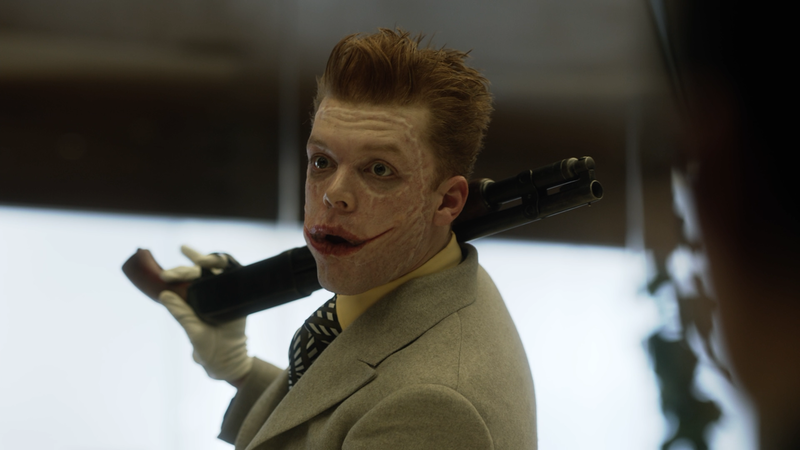 Review: In previous reviews on Gotham, I’ve been heavily critical on the series (though I did quite enjoy elements of season 3), mostly on how many villains the show runners/writers throw in along with stories that I didn’t find all that compelling. Well, I can say, as the series comes to a close in its fifth season, that season four was pretty damn amazing. The season long story arc was well written and even though The Penguin still plays a significant part — while I do like Robin Lord Taylor in the role, he does overdo it — I do like how the introduction of all the villains come together leading up to the season finale which will begin the “No Man’s Land” storyline from the comics as Gotham descends into anarchy and groups are formed in each corner of the city. 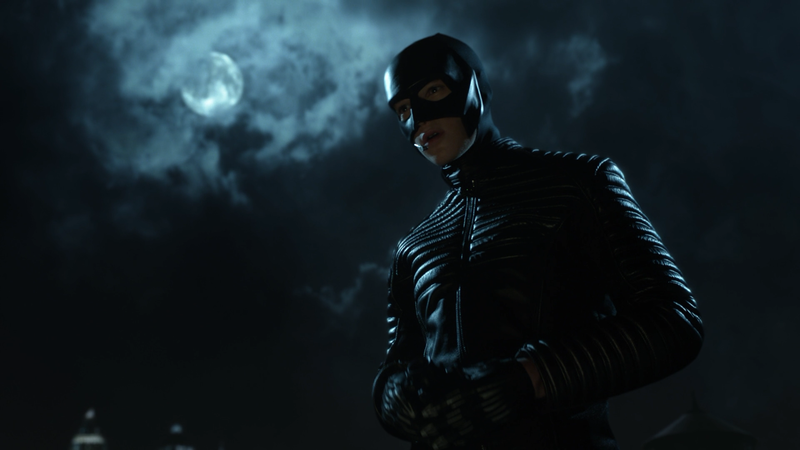 The season sees an expansion and development for many of the villains such as Jonathan Crane’s frightening transformation into the Scarecrow (perhaps one of the better effects on the show) and the introduction to the deadly gorgeous and conniving Crystal Reed as Sofia Falcone, coming to Gotham to reclaim any remaining respect and power her father, Carmine, once held. 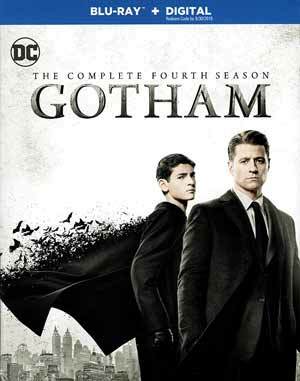 Although I did thoroughly enjoy season four and found the ensemble cast to be wonderful with Ben McKenzie owning Jim Gordon and even the young Camren Bicondova doing a good job as the conflicted Selina Kyle/Catwoman, there were a few things I did have a problem with. I still can’t fully buy David Mazouz as Bruce Wayne and the future Batman; he has the looks but lacks, even considering his age, weight for such a role. Dating back to season three, wasn’t all that enamored with Alexander Siddig as Ra’s al Ghul, though he does a serviceable enough job. The 4-disc release comes housed in an HD Keep Case which side-slides into a matted slip cover. Inside is a redemption code for the Digital HD copy. Previous releases on these Warner DC TV releases came with a fold-out booklet episode guide, which has been trimmed to being a double-sided single sheet. Solomon Grundy: Born on a Monday (9:53; HD) looks at the character behind the intimidating exterior. The Sirens Take Gotham (12:57; HD) explores the relationships and motivations of Barbara Kean, Selina Kyle and Tabitha Galavan as the trio bands together to not only survive, but to thrive as one of Gotham’s leading crime syndicates. The Best of DC TV’s Comic-Con Panels, San Diego 2017 (58:27; HD) is just footage that’s on each of these DC sets have. 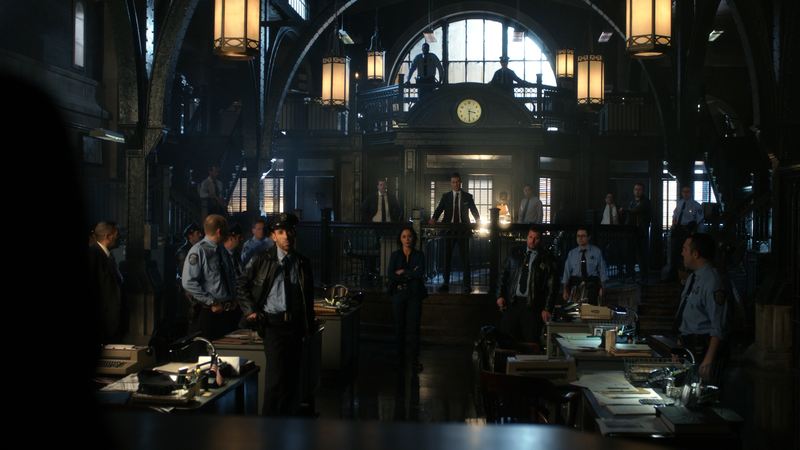 Gotham is presented in its originally televised 1.78 widescreen aspect ratio and a 1080p high-definition transfer. It’s nothing amazing to behold especially considering the series generally is rather dark looking, but detail is relatively sharp and there didn’t appear to be any major instances of artifacts or aliasing, though I did notice a bit of minor banding. The DTS-HD Master Audio 5.1 track is fairly dynamic. Dialogue generally sounds clear throughout the season and when the action picks up, the depth is showcased with each of the 5 channels getting decent usage. The LFE channel does kick in but is minor. On the whole, it’s a nice and satisfactory lossless track. 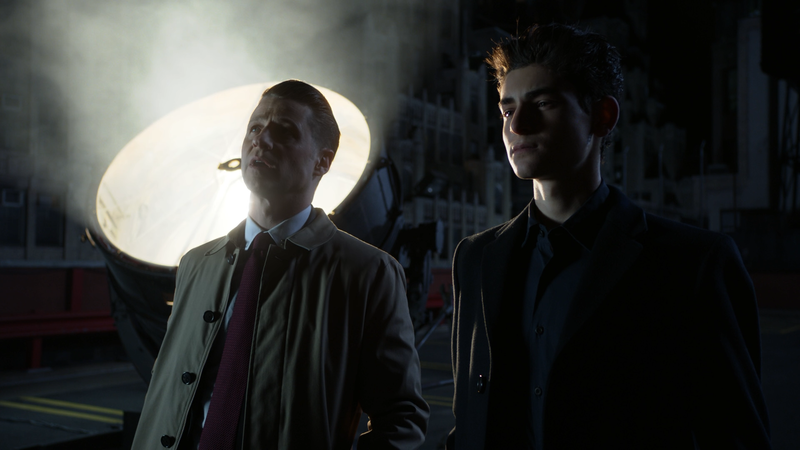 Overall, Gotham: The Complete Fourth Season is a nice step up in quality for the series and while it still has its problems from Bazouz’s Bruce Wayne to some overacting by a few cast members, I really was entertained by this season and what the writers have built up for the fifth and final season. The Blu-ray offers up good video and audio transfers while unfortunately the features were a bit lackluster.